This issue features two essays exploring funerary art, the first focused on the underground architecture of Chinese tombs and the second on Scindia chatris that mark the locations where three maharajas were buried. Other essays focus on the painting collection of Prince Anpyeong and early Joseon antiquarianism, the oil painter Mukai Junkichi’s transformation from glorifier of war to idyllic landscape painter, and the lack of finish on rock-cut shrines in premodern India. Contributors include Melia Belli, Vidya Dehejia, Burglind Jungmann, Maki Kaneko, Wei-Cheng Lin, and Peter Rockwell. 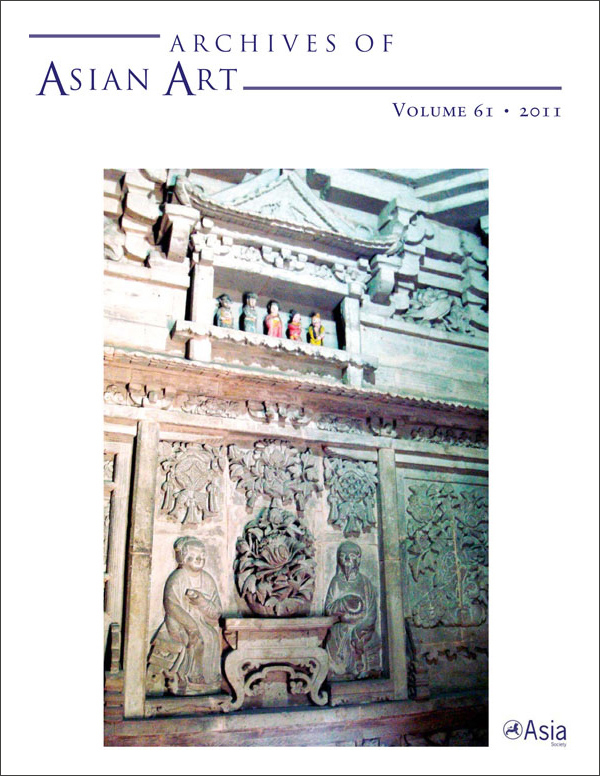 View the table of contents for Archives of Asian Art 61:1, at the journal's online site.